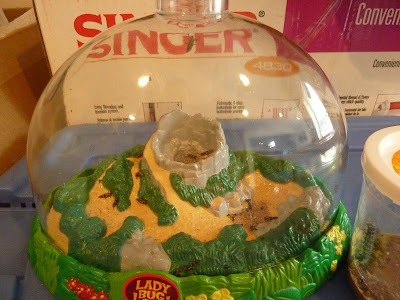 I put the little ladybugs in their Ladybug Land. Happily, they came with their own food. Needless to say, they looked nothing like ladybugs. 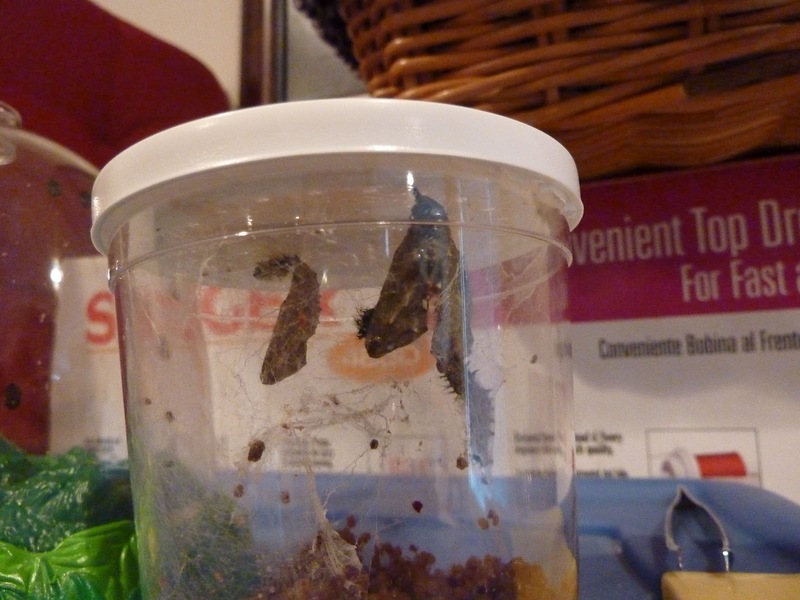 We got 4 caterpillars, which also happily came with their own food. 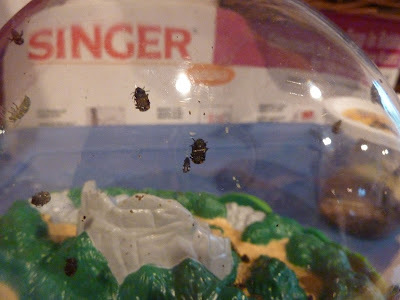 After about a week, the ladybugs entered their pupa stage, which basically means they lost their tails, formed hard shells on the underside of the dome and didn't move for a week. The caterpillars formed their chrysalises one by one. 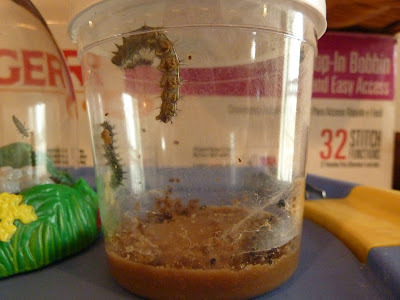 One caterpillar, the smallest, took the longest to make his. I nicknamed him "Slow Poke." 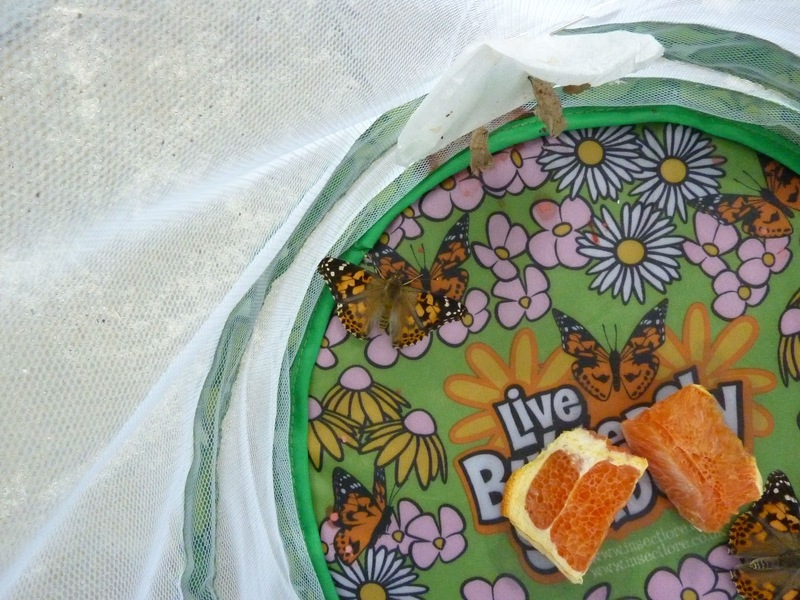 Once they were all chrysalises, I moved them to their butterfly habitat. I tried to be gentle, but two fell off. C'est la vie. After a week, the ladybugs emerged white from their shells. 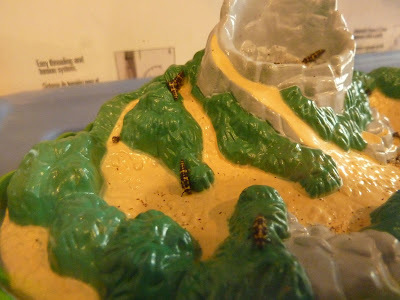 Then their spots showed up. And finally they began turning red. 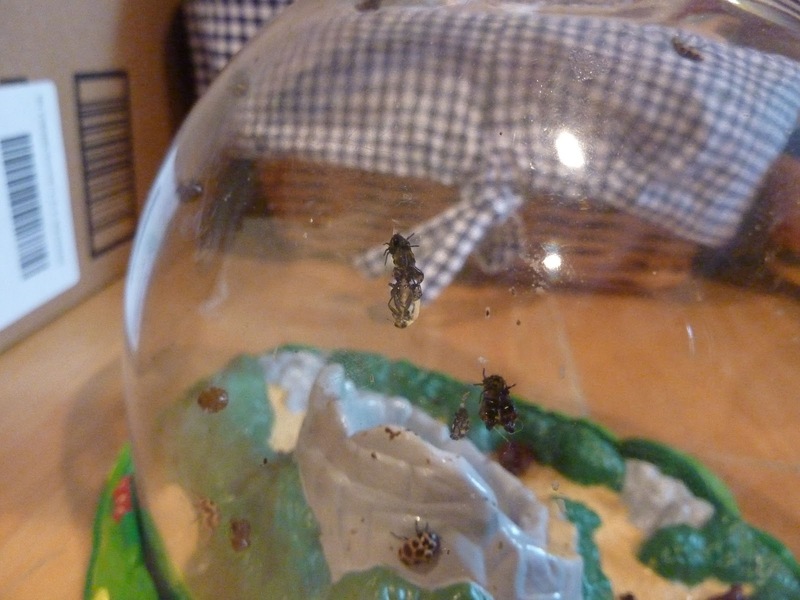 In the end we had 19 live adult ladybugs. 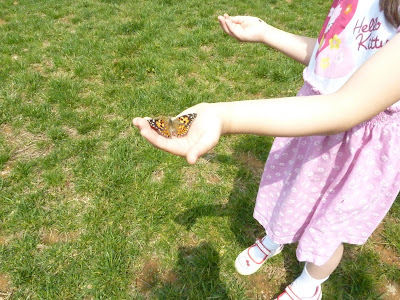 Cecilia took great care helping release them. 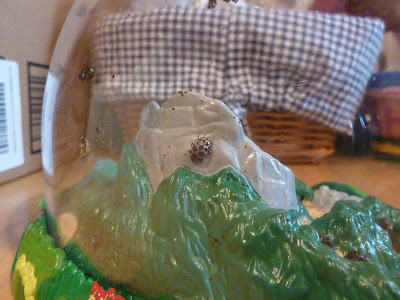 She helped each one individually from its dome to a bush. 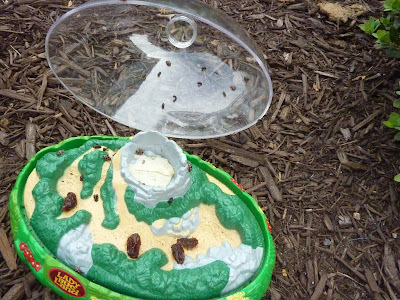 The ladybugs were a big, big success. And, fortunately, I cleaned their Ladybug Land and we can reuse it next Spring. 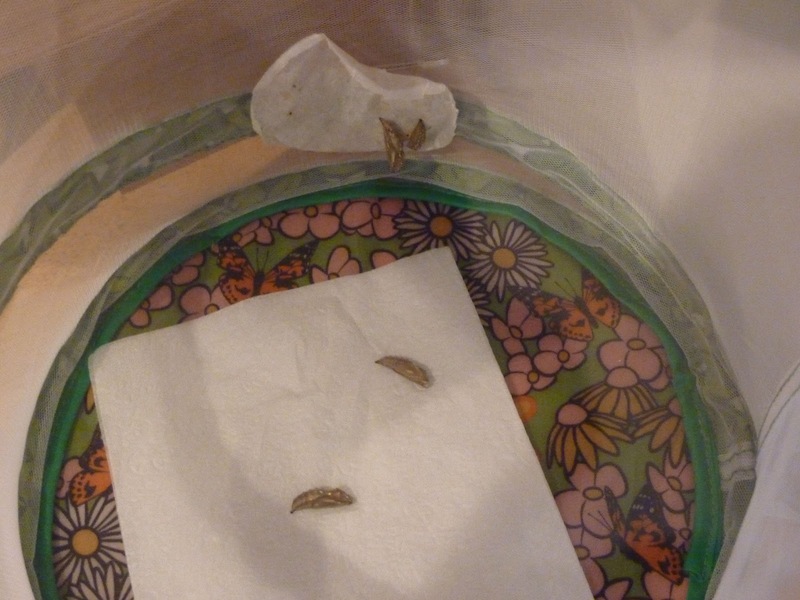 We had 3 butterflies hatched and ready to go. Slow Poke was still hanging in his chrysalis on the side. 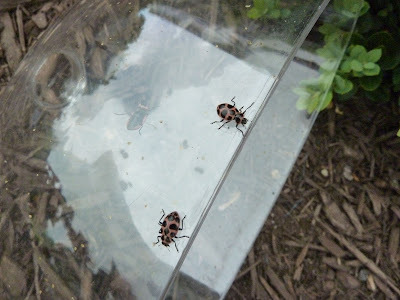 Two took off without a hitch. The third one though didn't want to leave. In fact, he decided it was time for lunch. I used a branch with leaves to coax him out. He went from the branch to Cecilia's hand and didn't seem to want to leave. 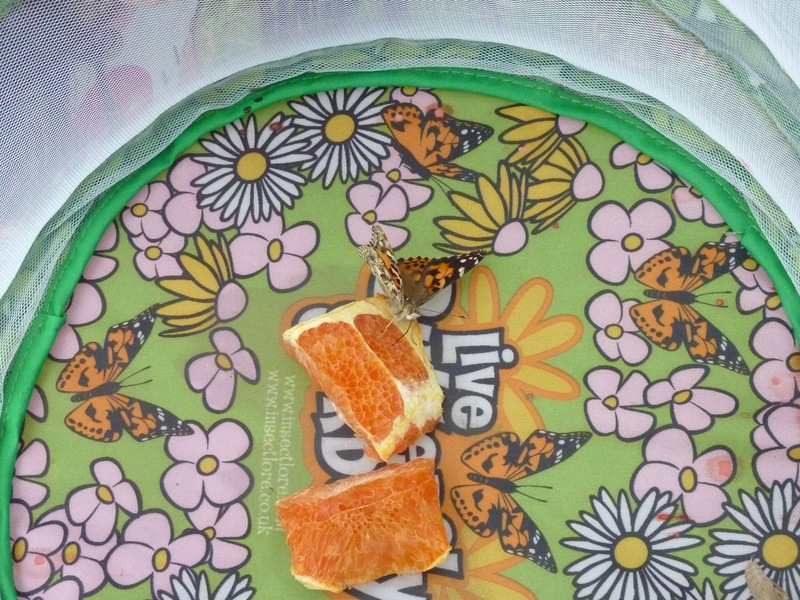 We tried and tried but every time he flew up he just came back down. We even tried to put the orange wedges by a bush and put him on them. He wouldn't leave. I went inside briefly and came back out. He was still there but now his wing was damaged. We put him back in the habitat. Cecilia named him Heartthrob. 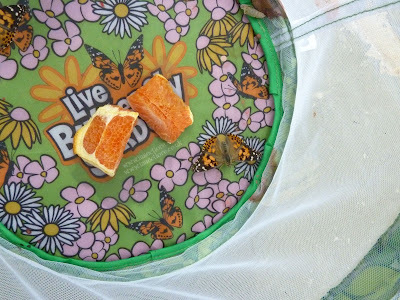 In a couple of days the fourth and final butterfly emerged. The morning we went to set him free, we discovered Heartthrob had died. In the end, it was a really worthwhile experience. 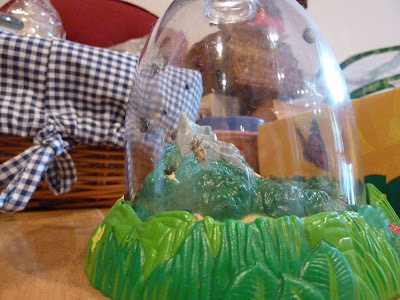 From the stages of the insects to seeing them up close and holding them to the reality that not every creature makes it. She and Felicity are both looking forward to doing it again next year. I always wanted to do the butterflies when I was a kid - nice family project! 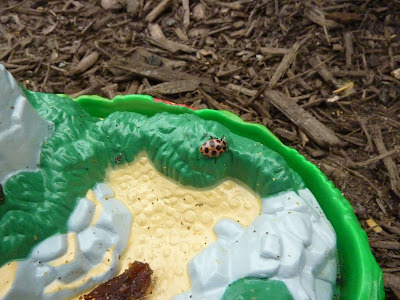 The adult ladybugs look pretty different from the ones we have wild around here. Oh wow - I've always wanted to do this, too!!! Thanks for the step-by-step. 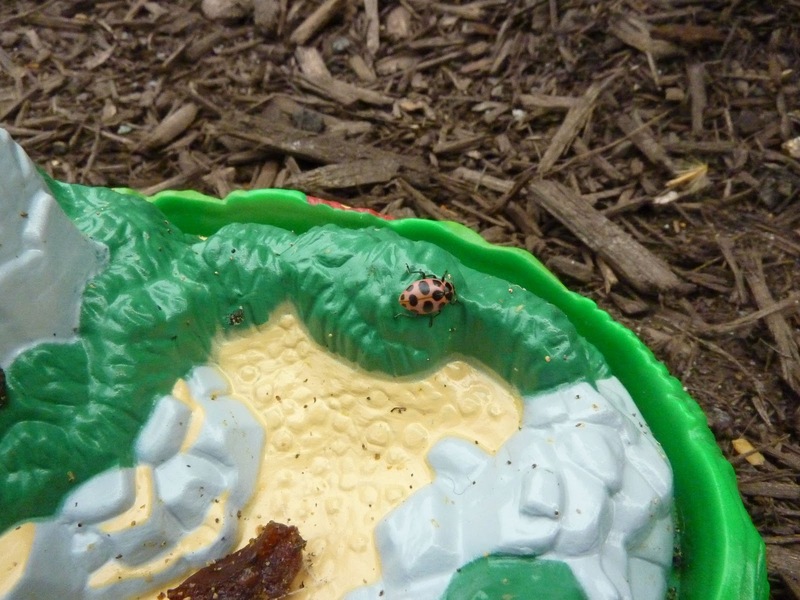 Looks like they had a lot of fun and learned a bunch, too (I know I did - didn't realize ladybugs were ever white! ).